The early weeks of January tend to be quiet ones in terms of top draw racing but that doesn't mean we have been resting on our laurels. We are once again back with the latest in our Road To Cheltenham blog series as we continue our countdown to the biggest four days in the sport. The feature race at the doomed Kempton Park on Saturday was the Lanzarote Hurdle and it went to Paul Nicholls with Modus finally getting his head in front. The Paul Nicholls trained hurdler always tends to run well but until now at least, he has often found one or two too good on the big day. This time it was different though as the JP McManus owned 7YO bounded clear of the field to claim the biggest win of his career and the nice pot that went with it. There is no doubt that the step up to 2m5f suited he horse and it now looks all systems go for a tilt at the Coral Cup in March. He performed badly at Cheltenham last year but he has ran well there before and 16/1 with bet365 about him claiming the famous handicap looks a fair price at this stage. 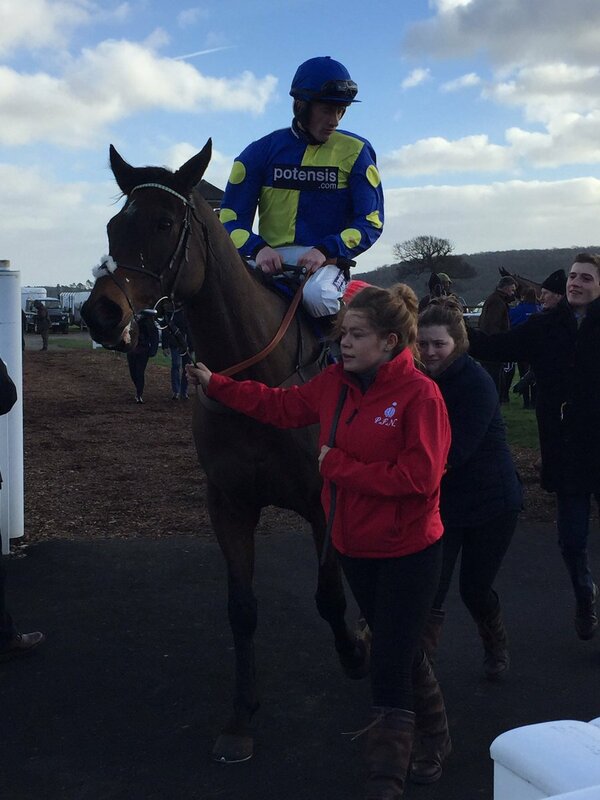 There was another eye catching Paul Nicholls winner last Wednesday as Overbound Flyer won on his debut under rules at Taunton. There is every chance this was a low grade contest but the dual P2P winner tanked his way through the 3m Maiden Hurdle before bounding clear without so much as breaking sweat. A big chasing type of the future, he impressed in the parade ring and on the track and although this is only a first step, Paddy Power were impressed enough to give the horse a quote of 20/1 for the Albert Bartlett. Also on the Kempton card we saw Vaniteux claim the Listed Chase for Nicky Henderson and he remains a highly talented animal on his day. He won this nice little race in good style and it will be interesting to follow his progress in the spring with his handicap mark a high one. There was also plenty of action up at Warwick on Saturday for their big Classic Chase meeting and there were plenty of exciting horses to take note of. One of those was certainly the Harry Fry trained American who won the 3m Novice Chase in excellent fashion. His jumping was foot perfect as he beat Champers On Ice but the RSA Chase will be another step up again and single figured prices for that race seem a little skinny at the moment. We also saw Willoughby Court make a strong impression up at Warwick as he claimed the Leamington Novices' Hurdle over 2m5f. The Ben Pauling trained horse galloped a decent field into the ground from the front before pulling well clear in testing conditions to make himself out as one to watch. Willoughby Court will have two options open for him at Cheltenham but the Albert Bartlett Novices Hurdle looks the most likely option and with that in mind, Paddy Power slashed his price for that race from 33/1 into 12/1. There was a good little card at Punchestown on Saturday afternoon as well with two odds-on favourites turned over in the process. Willie Mullins had won the Moscow Flyer three years on the bounce but it wasn't to be number four as Crack Mome was beaten by Any Second Now in the Grade 2 contest. Crack Mome was in front coming to the last but having made a mistake he was unable to live with the winner and both could be on target for the Supreme Novices Hurdle in the spring. It was slightly disappointing to see Crack Mome beaten at such short odds and his Supreme price is now out to 20/1, from 10s, with Bet Victor, whilst the same firm have installed Any Second Now as a 12/1 shot for the Festival opener. Coral Cup winner Mall Dini was the other odds-on favourite beaten at Punchestown on Saturday with Edwulf claiming the 2m4f Beginners Chase. The Joseph O'Brien trained 8YO got the better of the very good Bachasson produced a lovely round of jumping and he could well turn up in a JLT or an RSA Chase in the spring with an outside chance.